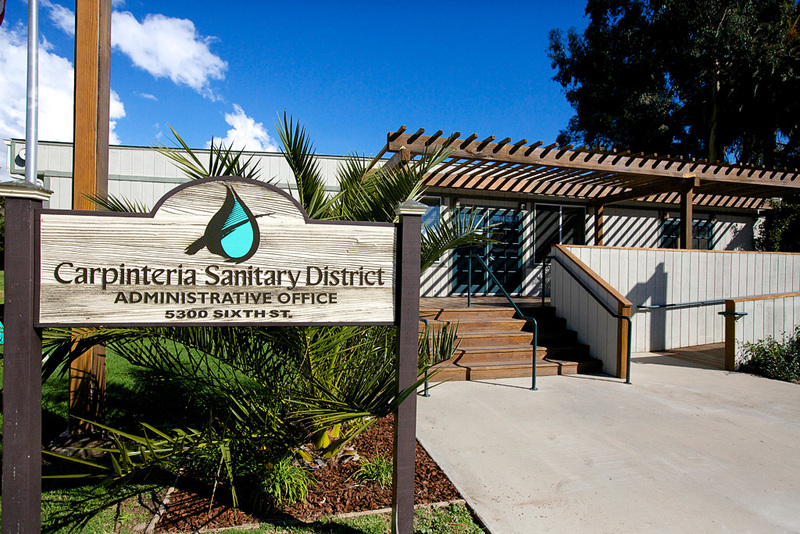 The Carpinteria Sanitary District inspects the construction and repair of all public and private sewers within its service area. All sewer construction, modification, repair and rehabilitation requires a permit from CSD. Plumbing work within the foundation line is subject to a building permit issued by the City of Carpinteria or the Santa Barbara County Building Department. After obtaining the proper sewer permit, a homeowner, or his/her plumber, may install, alter, or repair the building sewer on his property. Work located in the street or in a public sewer easement must be performed by a licensed contractor approved for such work by the District. Upon payment of all fees, a sewer permit may be issued to the homeowner or to the party contracted to do the underground construction. After obtaining a permit, the permittee must call the District at least 24 hours before beginning sewer construction to schedule an inspection. New connections or other construction will generally require a permit from CSD, separate from any permitting requirements imposed by other agencies. The District maintains a set of construction standards and requirements for main sewers, lateral sewers and building sewers. Contact the District to obtain a copy of the current standards.